In addition to the many commercial applications we've built for our clients (some listed below), our Prestwood Product Line consists of commercial applications we've built and market. Our .Net framework written in both VB.Net and C# for both Windows desktop applications and sophisticated database driven websites was initially developed for the state of California. With our framework, we can build robust business database applications more quickly than traditional techniques. This application demonstrates our ability to build transaction based (commit and rollback) Client/Server database applications and to communicate with serial devices via custom protocols. The application was written in Delphi using Interbase for the backend database and Async Pro for serial communication. The purpose of the application is to allow a human operator to schedule messages to be displayed on LED signs. These messages are then transmitted to the signs for display at their scheduled time. Uploads data to an online web store. Federal Express tracking and auditing. EasyTalk was developed for one of our clients and is a Federal Express refund auditor. Evaluates on time delivery, proper receipt signature etc. for requesting refunds of shipping charges. Employee Handbook Writer (EHW) is an application that helps human resources staff (or small businesses) easily produce customized employee handbooks. Prestwood was engaged in 2004 to create this application for the California Chamber of Commerce. The requirements are quite extensive, and this is far from a trivial program. Manager RTF documents in a database. Send commands to an LED sign. This program sends control scripts to LED signs. It is an MDI application with button and menu states dependent upon connection and sign state. The main purpose of this tool is for our client to give to his clients as a utility software for working LED signs. This application was developed for a law firm. Matter Tracker tracks legal matters, clients, events and documents. Track student info, demographics, and classes. This application is used to track the students, their demographic information and the programs that each student has taken. Also tracks the teachers, and general contacts involved with each program. This application demonstrates our ability to build multi-threaded communications The application was written in Delphi 3 and 5 using Paradox for the backend database and the Winshoes/Indy communications components for communications. 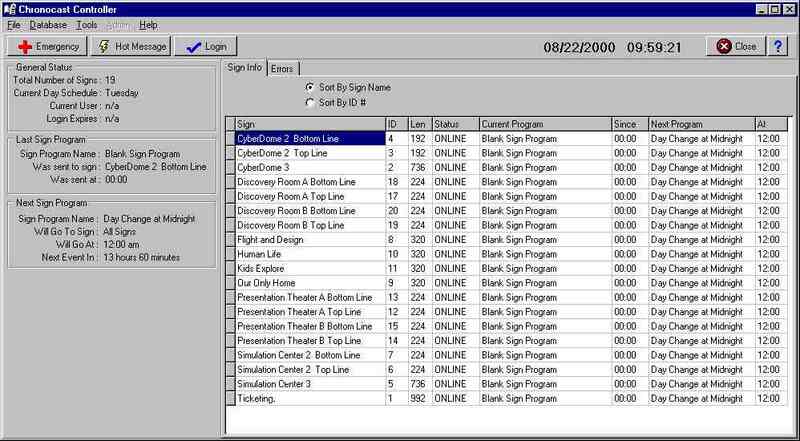 The purpose of this application is to allow a human operator to designate a schedule of when data updates occur at offsite cash register locations, through dial-up or FTP connections. The application allows the operator to assign the database table where the downloaded register data files will be posted. The application also provides a mechanism for updating offsite cash register data repositories with current copies of the centralized data. This application demonstrates our ability to build commercial stand-alone database applications. 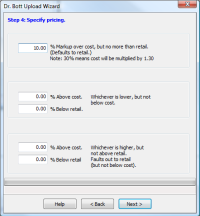 This application was written in Delphi with Paradox tables for the backend. 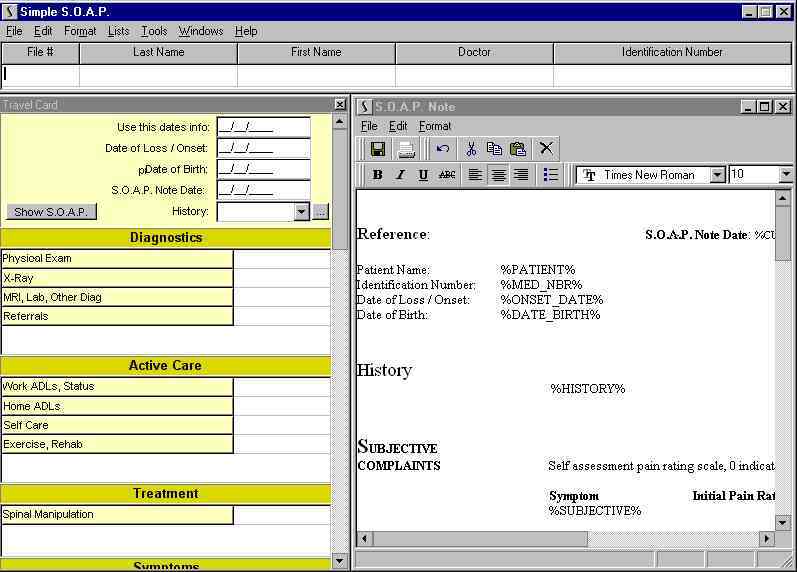 The purpose of the application was to assist doctors in the entry of patient visit information for insurance purposes. As the doctor enters standard abbreviations into the various categories, the S.O.A.P. Note is automatically updated with technical descriptions of the patient�s visit.